Cinema, opened 1935. Demolished (in the late 1970s?). 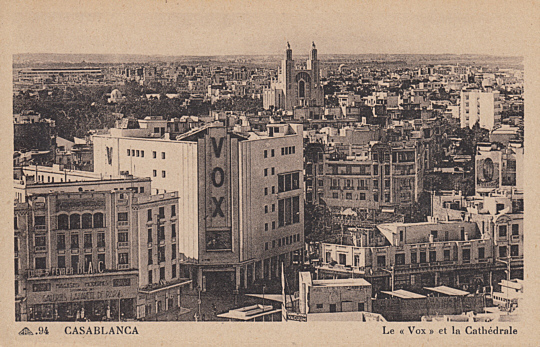 Front Text: "Casablanca - Le 'Vox' et la Cathédrale"